Gully god Mavado collabos with Nicki Minaj for his new single ‘Give It All to Me’ - a chilled dancehall riddim. The song is perfect, as we're just wrapping up the summer and sees Nicki give a shout out to Rihanna "Caribbean girls run it, ask RiRi" on the Ja Productions produced track. 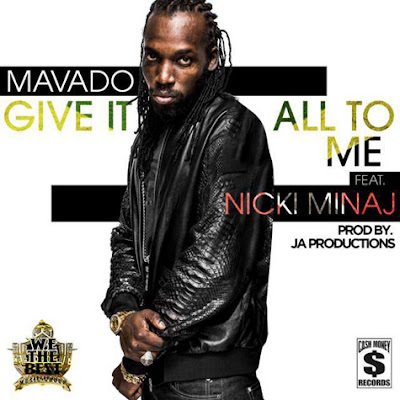 ‘Give It All to Me’ will appear on Mavado's new album under DJ Khaled's record label ‘We The Best’.